Nothing is more fundamental in the Constitution than equality before the law. This prevents narrow but powerful groups from getting special privileges. True, the Constitution also has other provisions permitting caste-based quotas in government jobs and education. But equality before the law is surely more fundamental than exceptions to this maxim in the name of historical backwardness. The Supreme Court must focus on this core when hearing an appeal against the hasty constitutional amendment last week. 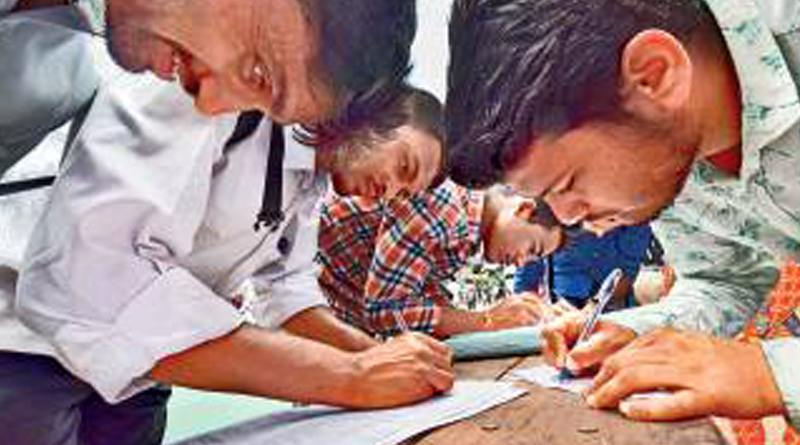 It provides a 10% quota in government jobs and educational institutions for economically disadvantaged people, defined in such elastic terms as to cover over 90% of the population. In theory, the quota is open to all, including Muslims and Christians. In practice, the quota will go almost entirely to the upper castes who have historically been oppressors, not victims. The court must strike down the new amendment for violating the basic structure of the Constitution. The Constitution clearly seeks an India free of historical divides like casteism, prohibiting discrimination on the basis of caste, religion or gender. It also provides job and education quotas for groups historical oppressed for so long that they merited reverse discrimination. These quotas were supposed to be temporary facilitators of change, to be abandoned as India moved towards a scientific temper that led to the withering away of caste. Alas, far from withering away, caste is becoming central to employment, education, politics and much else. Every new quota deepens caste differences and legitimises them. It matters not that decades of reservation have failed to uplift SCs and STs. The aim of quotas is no longer to end casteism but to distribute privileged access to sundry vote banks. In our first-past-the-post electoral system, even small but organised vote banks can make the difference between victory and defeat. India has no vote bank for excellence, merit, or equality, but has vote banks galore for every social divide. So, political parties cave in to one demand after another for caste-based privileges. It is ridiculous to claim that dominant landowning castes like the Jats in Haryana, Patels in Gujarat or Marathas in Maharashtra are backward. Yet these castes demand inclusion in the list of OBCs (Other Backward Classes) to qualify for OBC job and educational quotas. Instead of asking these historically privileged castes to stop this naked grab for privileges, all political parties have supported legislation to include these dominant castes in the OBC list, leaving it to the courts to strike down such absurdities. Backwardness is no longer a historical tragedy, not even a fact, but simply a path to sneak in special privileges for the already privileged. In the Indra Sawhney case, the Supreme Court held that while the Constitution permits quotas for the disadvantaged, that cannot override the principle of nondiscrimination. And so it decreed that quotas cannot exceed 50% of government jobs and educational positions. This balances different constitutional provisions. That balance needs to be maintained. Equality before the law must be decreed to be fundamental to the basic structure of the Constitution, and quotas as exceptions. If quotas exceed 50%, then they become the rule, and equality before the law becomes an exception. The Supreme Court must emphatically reject that approach. If the 50% ceiling is breached, why stop at 60%? Why not 75% or 90%? And why not have sub-quotas within each quota for sub-caste, gotra, and other social divide? This opens the door for ever-deeper social divisiveness. Many intellectuals (including judges) have opined that quotas should be based on economic criteria alone, not caste or religion. That would be in line with the constitutional provision of equality, and would promote the eventual abolition of casteism. There is a theoretical case for replacing caste-based quotas by income-based quotas. But the new 10% quota, in addition to the existing castebased 50%, is a cynical ploy to entitle almost all upper caste members, leaving out only a tiny upper crust. This has nothing to do with historical injustice and everything to do with political opportunism.